Even though we are the defending world champions and even though we are playing one of the toughest schedules in the National Football League, for the first time in a long time the 12th Man is feeling a bit uncertain moving forward. After falling at home to the Dallas Cowboys last week, the Seahawks now face two straight road games that are now even more important to win. This stretch starts on Sunday when the Seahawks take on the St. Louis Rams in our first NFC West game of the season. The Seahawks are 3-2 on the season and with the loss last week we currently sit in 3rd place in the division. The Rams are 1-4 and are in last place in the NFC West. The Seahawks lead the all-time series with the Rams 20-12 and in their last meeting the Seahawks defeated St. Louis in Seattle by a score of 27-9. Here is what to watch for in this week’s game. This week there is one over-arching question that must be asked on both sides of the ball. How will injuries to core players affect our play? On the offensive side of the ball I am focusing on the Seahawks offensive line. 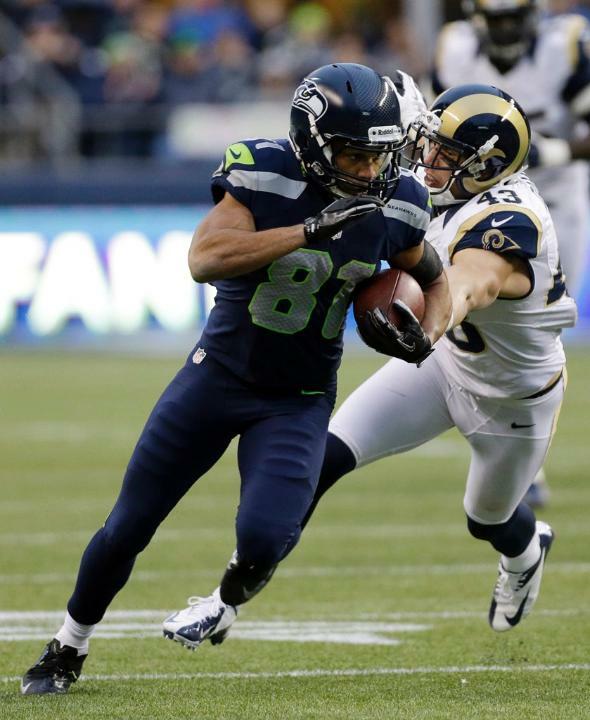 The Seahawks will be without Max Unger for the second consecutive week. Russell Okung is likely to play but he is still has a labrum injury lingering in his shoulder. It will be crucial for the offensive line to create running room for Marshawn Lynch and to give Russell Wilson a clean pocket to throw from. The Rams have a lot of talent along their defensive line and historically they have given Seattle problems when playing in St. Louis. Although the Seahawks only allowed two sacks of Russell Wilson last week, the talent the Rams will send his way is much better in my opinion than what the Dallas Cowboys had to offer. The running game must be effective for us to have any chance in winning this game. It starts with Marshawn Lynch. After only 10 carries in a losing effort last week, expect his workload to be dramatically higher this week. Even if Lynch struggles to get going early, I expect offensive coordinator Darrell Bevell to not shy away from calling Lynch’s number especially after the criticism he was faced with after last week’s game. On defense the Seahawks will be without at least one starter and possibly without one other starter. Bobby Wagner is suffering from turf toe and has been ruled out of this week’s game. Seattle will play the linebacker shuffle this week, moving K.J. Wright to middle linebacker with Malcolm Smith taking Wright’s spot as the starting “Will” linebacker. The Seahawks may also be without starting cornerback Byron Maxwell, who has not practiced all week while recovering from a calf strain. After Wagner exited last week’s game it felt as though our defense fell apart. The Seahawks defense allowed 23 points once Wagner departed in the second quarter. The tackling in the middle of the field worsened in the second half and the Cowboys skill position players found lots of room in the open field. It will be important for Wright to be an anchor in the middle of the field and make clean, fundamental tackles. Last week Rams quarterback Austin Davis was able to make clean throws to receivers Kenny Britt and Austin Pettis among others in the middle of the field against a banged up San Francisco defense. This week look for Davis to use these receivers and speedster Tavon Austin out wide to test the Legion of Boom especially if Maxwell is inactive. Marcus Burley will likely start for the Seahawks if Maxwell cannot go and it is very possible to think that Davis will look in the direction of a raw inexperienced starter rather than to throw in the direction of all-pro Richard Sherman. This season the St. Louis Rams defense is not putting up the numbers like they did a season ago but they are still an intimidating bunch, especially the front seven. Last season Rams defensive end Robert Quinn ranked second in the NFL in sacks with 19. That dominant performance earned him a new contract but so far Quinn has not earned his newfound money. Quinn has only 12 tackles so far this season with no sacks. The only sack the Rams have recorded this season belongs to my X-Factor player to watch, defensive tackle Aaron Donald. Donald, from the University of Pittsburgh, was a first-round pick of the Rams back in May. He along with Michael Brockers form one of the best up-and-coming defensive tackle combinations in all of football. Just like Robert Quinn, Donald has also recorded 12 tackles including 4 tackles for loss. I loved Donald coming out of college because of his potential as an interior pass rusher and with Max Unger out this could be the perfect opportunity for Donald to show what all the hype was about back before the draft. Donald vs. Seahawks center Stephen Schilling is a matchup to keep an eye on this week. If Donald is successful in getting through the middle of the Seahawks offensive line it could be a frustrating day once again for Marshawn Lynch, Russell Wilson, and the rest of the Seattle offense. Random Thoughts: The Seahawks have confirmed via their Twitter that they will wear white jerseys and wolf grey pants this week… The Rams will wear navy blue jerseys with either white or navy blue pants… Kenny Albert, Daryl “Moose” Johnston, and Tony Siragusa have the call for FOX this week… Brad Allen is this week’s referee. Allen is one of 4 rookie referees in the NFL this season… I was hoping the St. Louis Cardinals would extend the National League Championship Series into Sunday. It would have been great for the entire city of St. Louis to be infatuated with playoff baseball, virtually making this week’s Rams game an afterthought. That will not be the case however, after the Cardinals season came to an end on Thursday night… In the Pete Carroll era the Seahawks are 2-2 playing the Rams at the Edward Jones Dome… St. Louis would have been an interesting road trip to do. Game tickets are dirt cheap but round-trip airfare to St. Louis is a bit on the pricey side. I have given some thought into doing a spontaneous short-notice weekend trip to St. Louis for the game this year and in previous years but have never done it… I have been to every NFC West for a Seahawks game except for St. Louis… I am not in panic mode yet but if the Seahawks lose this game I am sure this entire city will be panicking. My word of encouragement: Never lose faith in this team. Prediction: I could see this game going down to the wire, much like some of our previous games played in St. Louis. I think it will be incredibly difficult for the Seahawks running game to get going once again this week and it will be up to Russell Wilson to extend Seahawks drives. The only Seahawks touchdown will belong to Wilson on a scramble from inside the redzone. The Seahawks defense will play a much more sound game this week, including three sacks of Austin Davis. 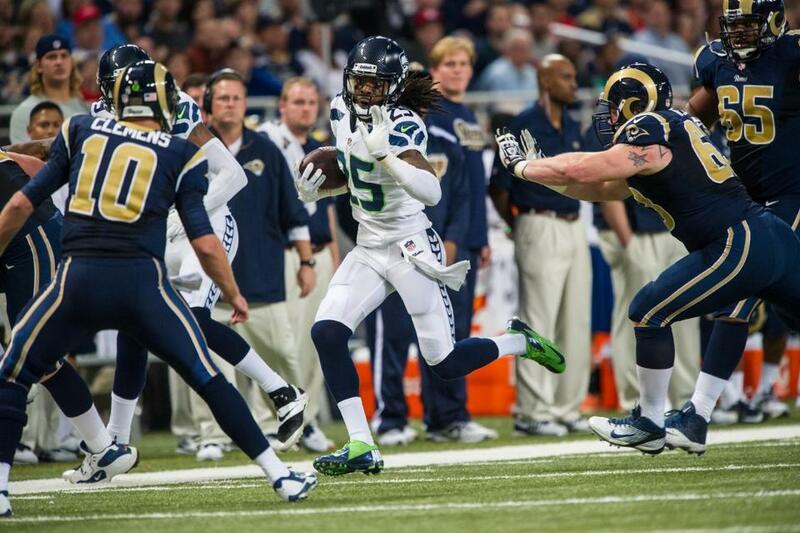 The Rams will win the turnover battle however and that could cost the Seahawks a chance to win the game late. Of course I hope I am wrong, but I believe the Rams will win a tight, physical game and the Seahawks will lose back-to-back games for the first time since weeks 7 and 8 of the 2012 season. Check back on Sunday night for my review of this game. Go Hawks!